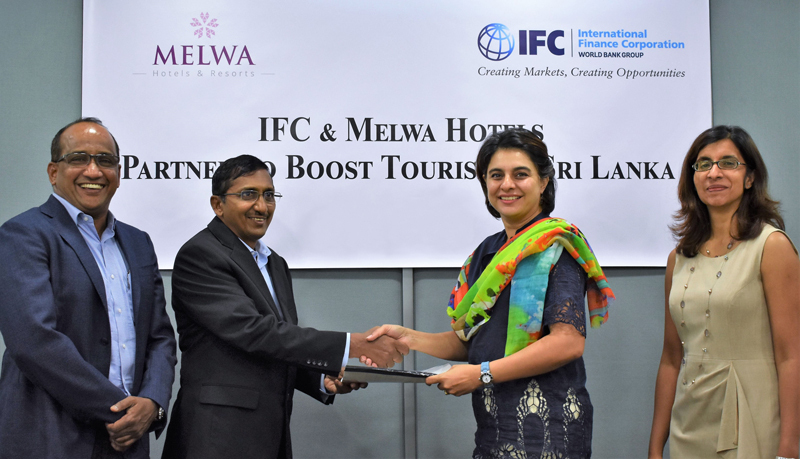 IFC, a member of the World Bank Group, is investing $27 million in Melwa Hotels and Resorts Private Limited towards the development of 3 hotels across Sri Lanka. The investment will increase Sri Lanka’s capacity in the tourism sector, create jobs, and generate more foreign exchange. The hotels will be operated by Hilton Hotels. The investment will help Melwa Hotels develop three new hotels outside of Colombo, in Yala, Kosgoda, and Negombo. A subsidiary of Melwire Rolling Private Limited, the company is a new entrant to Sri Lanka’s tourism sector. The tourism industry is a key pillar of growth for Sri Lanka’s economy. However, much of the country’s tourism potential remains under-developed, while other parts are growing in an unsustainable way. This project fits well with the Government of Sri Lanka’s goal to grow the tourism industry while minimizing potential negative environmental and social impacts. The tourism industry is a major contributor to employment, foreign exchange earnings, and tax revenues for emerging economies. Hotels and tourism generate economic activity for small- and medium-sized businesses which supply goods and services both during construction and operations. IFC invests in hotels and tourism because of its strong development impact along the value chain, for employees, and the economy.